"A very centrally located Chalet for Les Gets, with lifts only 300m away, the Ysopes has a traditional Savoir charm thanks it’s pretty design. 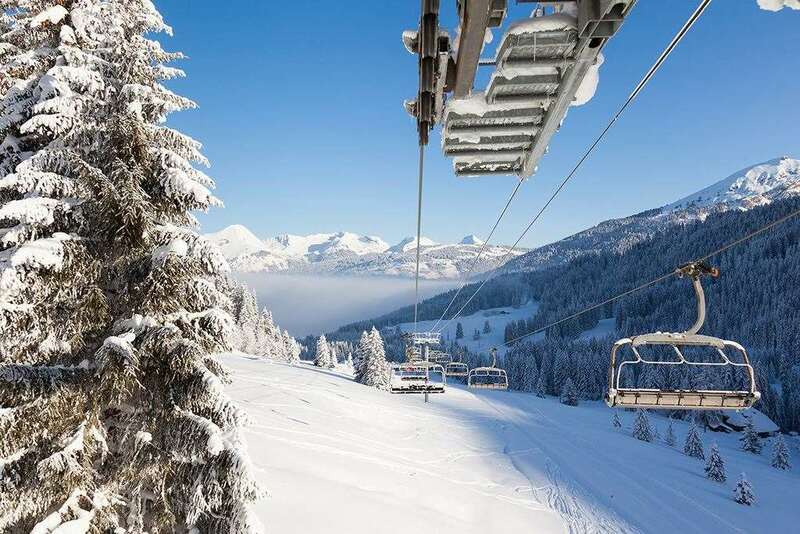 Let Gets is a brilliant resort for beginners and families, while advanced skiers can enjoy exploring the limitless Portes du Solei ski area." This delightful semi-detached chalet has a large picture window from the lounge looking down a slope to fabulous views of the piste. The chalet shares a jacuzzi hot-tub, set on a covered terrace, with Chalet Johmarons, where all the aches of a hard days skiing can be relaxed away whilst looking forward to that evening’s dinner. The interior of the chalet is modern and stylish, with attractive use of light pine panelling throughout, characterful beamed ceilings and plenty of small touches to enhance the charming overall ambience. One of the quirkier features is bathroom doors only 1.7m high, so our taller guests will need to duck! Ski Season 2017/2018 will remain as 6 nights. Food is a feature of any ski holiday and we set very high standards for our cuisine. Our Chalet Hosts will prepare and serve your meals as described here six days per week*. * On your Host’s day off each week, they will leave a simpler continental breakfast out for you to help yourselves, there is no afternoon tea on these days, and you can dine out locally in the evening. Your Resort Representative will gladly help out with information and make a reservation for you if you wish. We serve a separate High Tea at 5:30pm for children aged 12 years and under with an appropriate menu and pureed food is available for infants on request. Parents must accompany their children at high tea. Unless children are part of an ‘exclusive use’ whole-chalet booking in chalets, it is not possible for children aged 12 years and under to eat at the adult sitting. When part of a 'exclusive use' whole-chalet booking children may eat with the adults for a supplement of £39 per child if they have received child discounts. Myself and five other friends enjoyed a lovely chalet ski holiday in Ysopes being looked after incredibly well by Rachel and Robin. The resort manager James was very informative and helpful, keeping us informed about events taking place in the village. I have been on many chalet holidays with other companies, but I was very impressed with the staff on this holiday. Well done. Staying here was one of the most fantastic experiences I have had in any chalet. The chalet is a perfect blend of traditional style with modern comforts - it's warm and cosy, and the hot tub was to die for at the end of a long day's skiing. The chalet staff were incredibly friendly and worked really hard to ensure we had a great time. The food they served was always superb, and the wine went down a treat! I would highly recommend a stay at the Ysopes & Les Gets as a resort to anyone - this really is luxury in a winter wonderland.